(2) B.R.T.S. 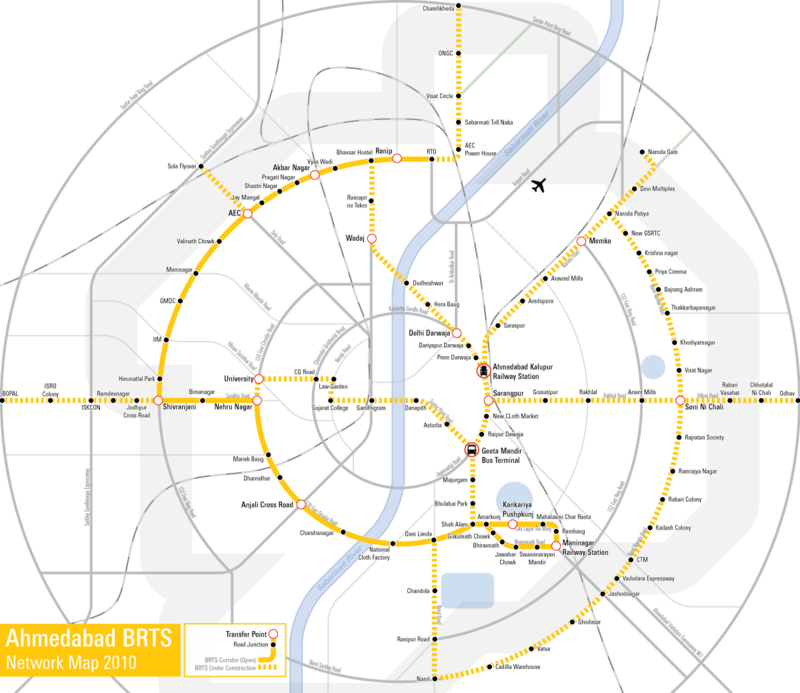 ( Ahmedabad Bus Rapid Transist System). : Ahmedabad Janmarg Ltd.
Ahmedabad Municipal Corporation has incorporated “Special Purpose Vehicle” called Ahmedabad Janmarg Ltd in order to run and to operate BRTS buses. Ahmedbad Janmarg Ltd is registered under Companies Act, 1956 and is 100% subsidiary of Ahmedabad Municipal Corporation. In order to provide faster, reliable, eco friendly and advanced Public Transportation Ahmedabad Janmarg Ltd is committed to operate and run BRTS services for the citizen of Ahmedabad. Ahmedabad Janmarg Ltd has 82 km operational route with 160 (59 A.C. buses) buses and about 1.30 lakhs average passengers per day.